Traditional French doors have multiple panes of glass separated by thin wooden bars known as mullions or muntins. Often used as patio doors, French doors offer an attractive way to view the outdoors while providing security and a measure of privacy. If you wish to change the look of your French door or you're interested in installing a doggy door, you may want to remove some of the mullions. It takes just a few tools to accomplish this task but extra care should be taken to avoid breaking the glass. 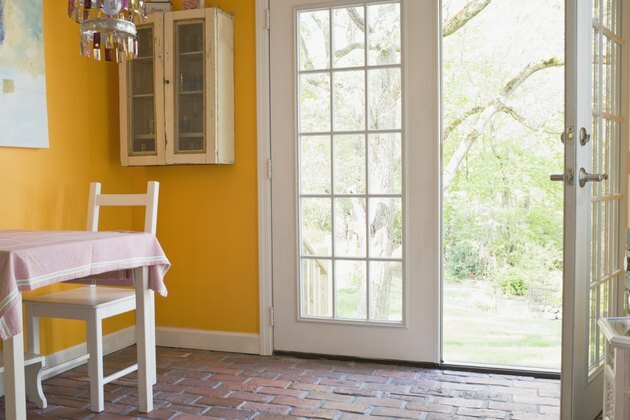 French doors bring extra light and air to a room. Put on safety goggles and work gloves. Starting at any edge, remove the molding that holds the window in place. The molding is a thin strip of wood that frames each pane of glass in a standard French door. It's usually attached with finish nails and painted over so the seam between the molding and the door may not be readily visible. Use the utility knife to score along the outer edge of the molding. You may need to make several passes to completely cut through the paint. Slide the tip of the flexible putty knife into the seam. Carefully wiggle the knife farther into the space with even, steady pressure. The molding should start to separate from the door at this point. Score the caulk around the glass with the utility knife. 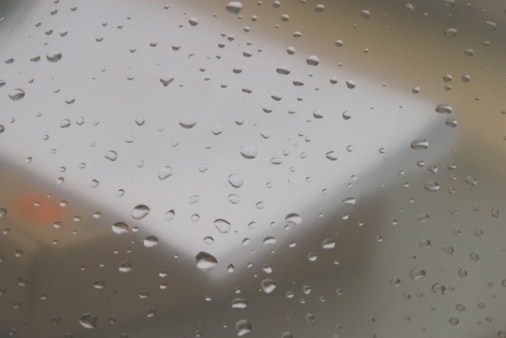 When most of the caulk is removed, use the tip of a stiff putty knife or 5-in-1 tool to pop out the glass pane. Cut the mullion from the door with a coping saw.